Dress less than six months old and is being sold as due to rapid growth . 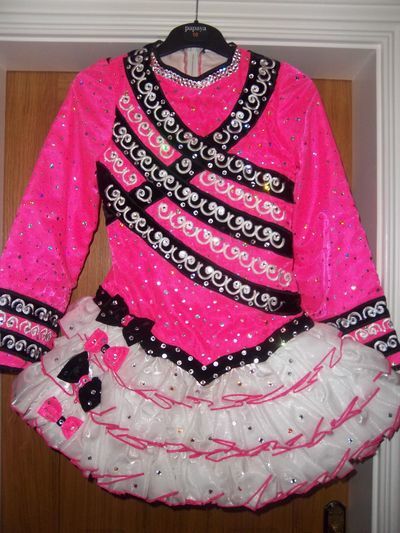 This dress has hundreds of swarovski crystals and is in immaculate condition. 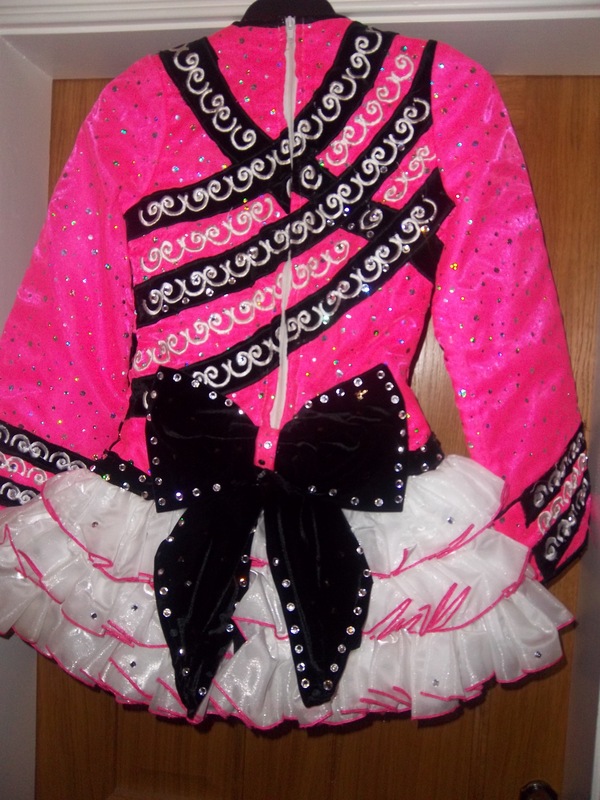 Pink material with silver sparkle, celtic design with bow detail, pants and hairband to match. Asking Price: £700. Shipping costs not included. Sale is final.